The Swiss Govt. announced a criminal investigation into Qatar's 2022 bid.&nbsp; Just as interesting is that the government of Qatar and the Qatar organizing committee accused of bribing its way to being awarded the 2022 World Cup each donated to the Clinton Foundation (Qatar Govt gave between $1-5 million- the Qatar World Cup Committee gave between $250K and $500K) There was no mention of the Clinton foundation in any of the charges. While so far the foundation has no involvement with the investigations and I doubt that they were involved. But this is another reminder that the Clinton Foundations has accepted donations from many of the world's richest and most powerful players. Its donor list runs to 200,000 names, and includes foreign governments, Wall Street and foreign financial institutions, energy conglomerates and others. Many of whom has had relationships with Hillary in her role as NY Senator, or as Secretary of State. 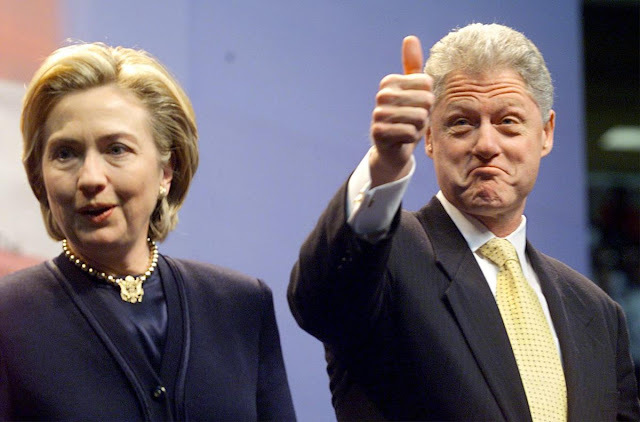 I doubt that Clinton was involved in the Qatar football scam because Bill Clinton led the U.S. efforts to win the 2022 World Cup. Bill Clinton traveled to Zurich in 2010 with a gaggle of celebrities pushing for the U.S. to win the right to host the 2022 tournament but FIFA chose Qatar instead. At a conference the next day hosted by The Economist, Clinton attributed the decision to FIFA's desire to "make soccer a world sport." “They wanted to say, here's a good non-terrorist, non-bigoted way of embracing -- no really, I'm not trivializing this -- a way to embrace the modernization attempt of the Middle East," he said. Others were shocked that the FIFA committee selected a site for the World Cup where average temperatures were well over 100 degrees Fahrenheit. According to the Sydney Morning Herald Bill Clinton flipped out when he found out that Qatar won the bid. The former US president, who had spent two years travelling the world glad-handing members of football's governing body, FIFA, could not believe America's bid to host the 2022 World Cup had been beaten by, of all places, Qatar. Clinton, the honorary chairman of the US bid, had wheeled out such big-hitters as Brad Pitt, Arnold Schwarzenegger, Morgan Freeman and Spike Lee to add lustre to the US Soccer Federation bid. Australia and Japan's bids had seemed the biggest threat, but few had seriously entertained the idea that Qatar, a footballing desert, could win. "Clinton was fuming," said one well-placed source. "He felt humiliated and felt the decision did not make sense." So this might be one of those rare cases where the Clinton name is attached to a scandal but they were probably not involved.